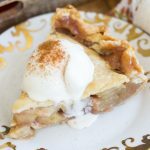 This Cranberry Apple Crumble Pie is not only a beautiful pie, but the spices and combo of ingredients is undeniably special. 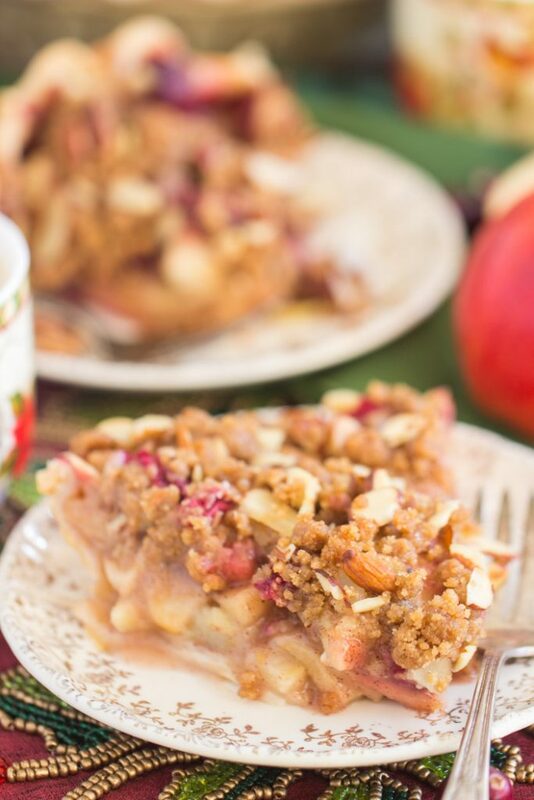 Sure to be a crowd-pleaser, this Cranberry Apple Crumble Pie is an all-around win for a holiday dessert! Hey, hey! I hope everyone had a great weekend! Our weather here in Florida was beautiful – sunny and mild, no humidity – so I got outside whenever I could, or I had the windows wide open. Otherwise, admittedly, I spent a lot of my weekend watching football, binging Christmas movies, shopping online, and squeezing in a little blogging too. 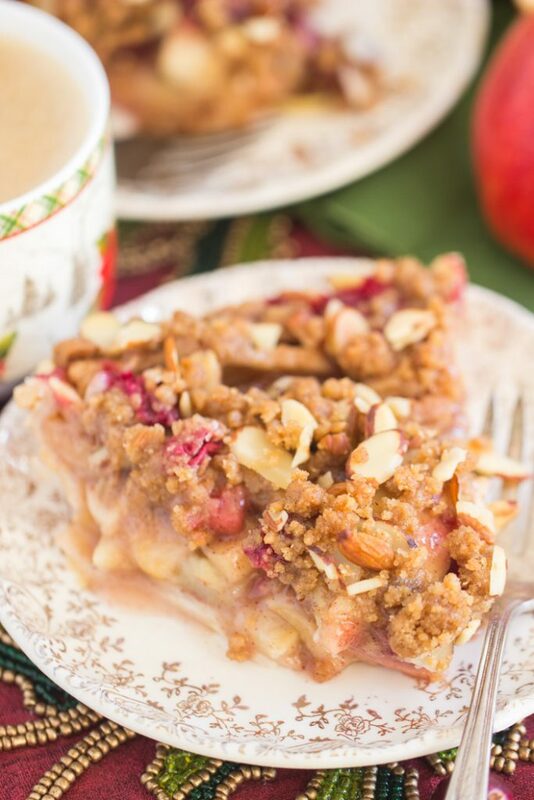 Today I’m sharing the last of the recipes that I made last year after Christmas was over, this Cranberry Apple Crumble Pie. 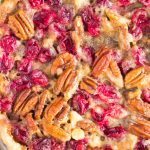 Like a few other recipes, I socked this away to share this year. I am always overzealous about how much I will get shared, and I don’t keep an ‘editorial calendar’ like some bloggers. 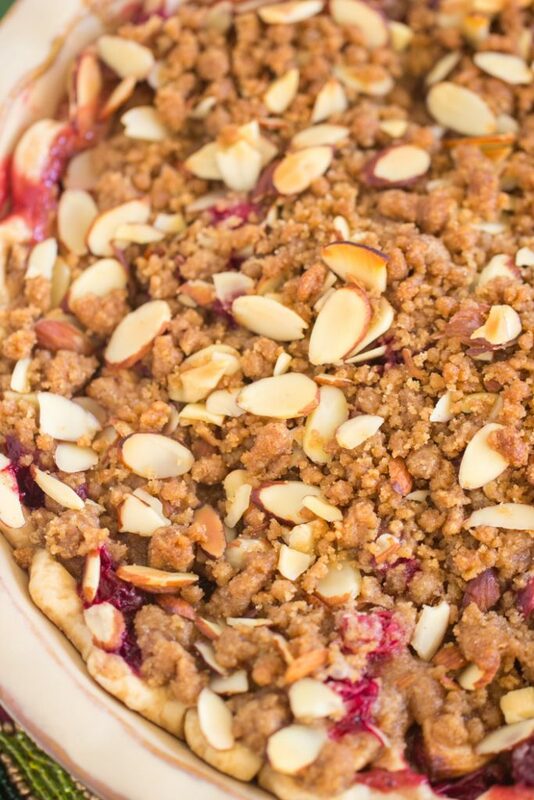 Eating Cranberry Apple Crumble Pie in January is pretty wonderful though. It was also wonderful having Peppermint Bark Cheesecake in February. I’m actually pretty on-schedule this year. 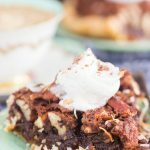 I posted three more (eek!) adaptations of Amish Sugar Cookies this last week, all variations for the holidays: these Cranberry Orange Amish Sugar Cookies, these Peppermint Amish Sugar Cookies, and these Eggnog Amish Sugar Cookies. I’m all baked out at the moment from making Christmas recipes way ahead of time, but I can’t wait to kick-start more baking now that Christmas is getting closer, and I’ll certainly be making lots of cookies, and I’ll certainly be including a pie or two. 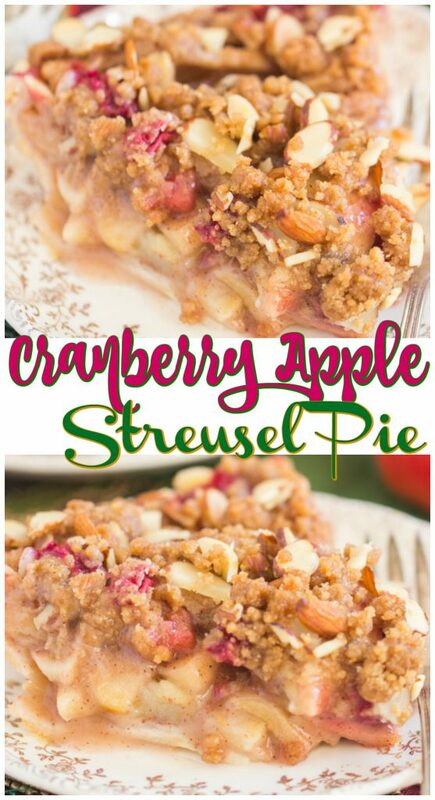 I love this Cranberry Apple Crumble Pie because it combines a few holiday classic flavors, but also, that streusel. When is something not made better because of crumble or streusel? Never, including this Cranberry Apple Crumble Pie. 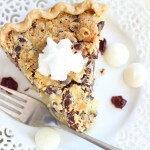 It’s a really beautiful pie, and the spices and ingredients are fantastic. 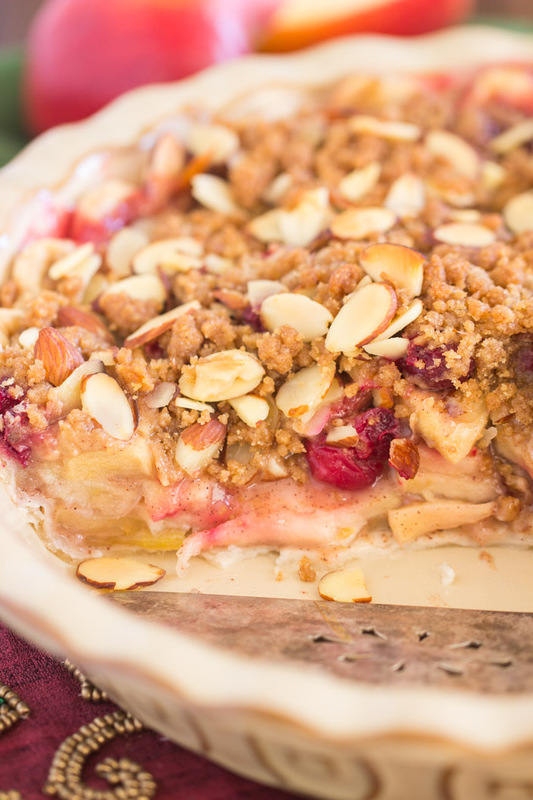 It’s an all-around win for a holiday dessert. 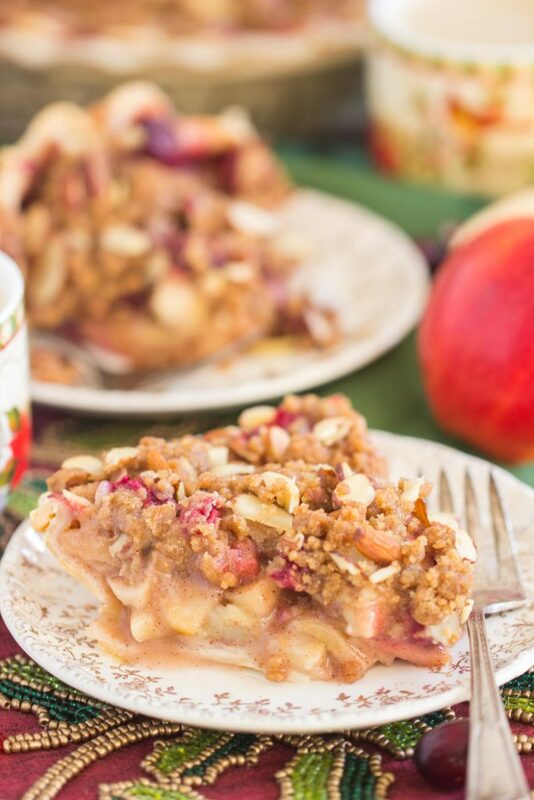 This Cranberry Apple Crumble Pie is pretty simple to whip up too. 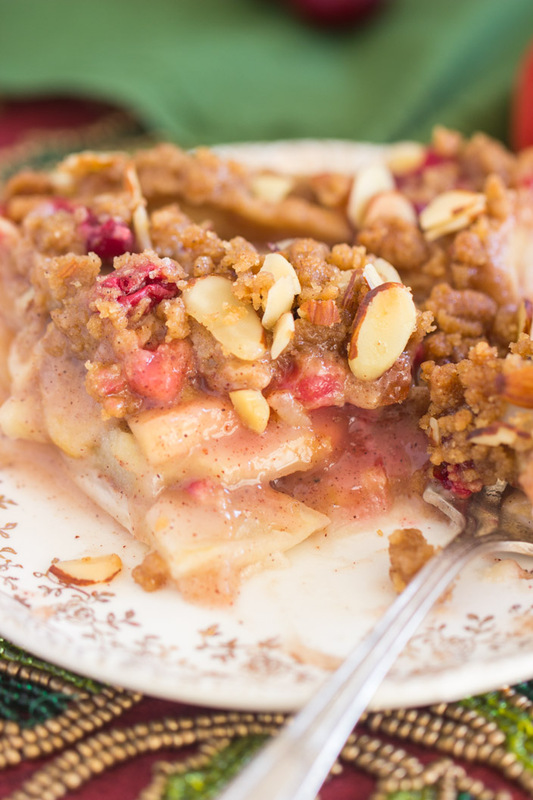 It’s not super time-consuming, though it does take a minute to slice the apples and to mix together the topping, but it doesn’t require a ton of prep time altogether, and it’s beginner-friendly too. 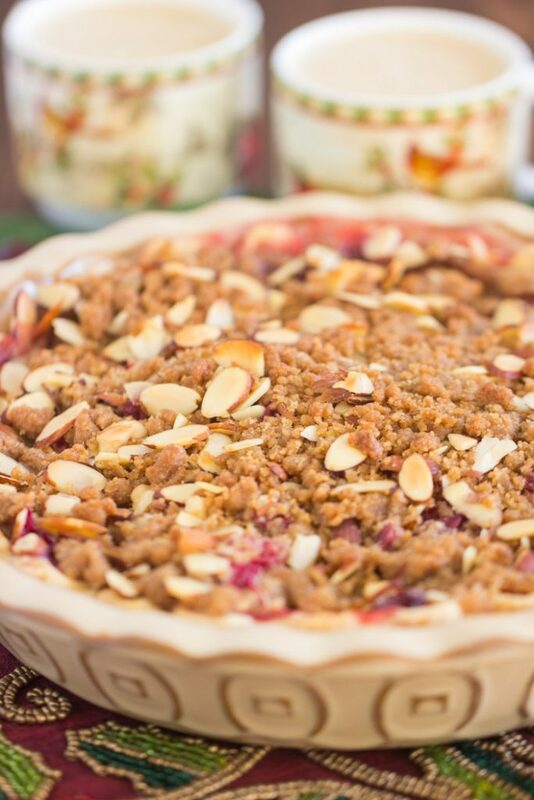 It’s easy as….. pie. I have a few other recipes with cranberries & apples paired together. 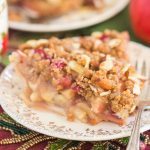 Check out this delicious Gingersnap Cranberry Apple Crisp, this simple and refreshing Cranberry Apple Salad, and this Cranberry Apple Croissant French Toast Casserole, a perfect holiday brunch! In a large bowl, stir together granulated sugar, flour, apple pie spice, and nutmeg. Add the melted butter and almond extract, stirring to combine. Add the apples and cranberries, stirring gently to coat. 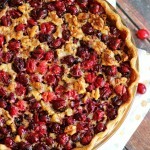 Arrange the apple and cranberry mixture into the pie shell. This will take a bit of finesse to get everything to fit snug! In a small bowl, combine brown sugar, flour, and cinnamon. Bake at 350 degrees for 60-70 minutes, or until apples are tender when pricked with a fork or toothpick. Cool on a wire rack for at least 30 minutes before cutting and serving. Can be served warm or cold! Cut and serve with ice cream.